World-class values and philosophy go hand in hand with recent improvements to some of their properties. Diamond Resorts continues to keep their customers front and centre. Diamond Resorts is one of the most prestigious names in the timeshare industry. They have a network of more than 330 destinations worldwide. Their mission is to promote holidays and vacations as part of a healthy and relaxed lifestyle. Furthermore, they understand that for continuing quality of life, it’s important for us to switch off from daily life every once in a while. To this end, their global network of resorts is rich. Diamond Resorts offer holiday accommodation where facilities are geared towards rest and relaxation as an integral part of your getaway. We know this as their Stay Vacationed™ philosophy. 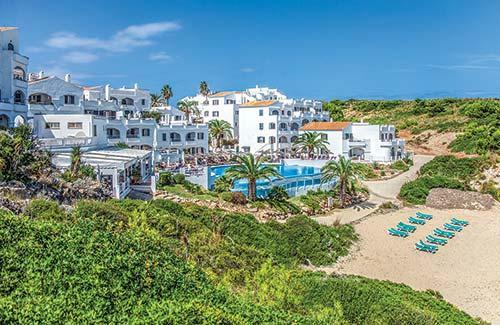 Royal Sunset Beach Club in Tenerife has recently had a complete facelift and extensive renovations. The pool area has been expanded with a new whirlpool. Repairs have been made to the pool bar roof. Additionally, the pool deck area is now bigger and can accommodate more sun beds. This means that the 7AM rush should be a thing of the past! Furthermore, studio apartments now reflect a more modern style in kitchens, bathrooms and bedrooms. Furniture has also been upgraded in 25 one-bedroom apartments and 7 two-bedroom apartments. Renovations are set to continue. 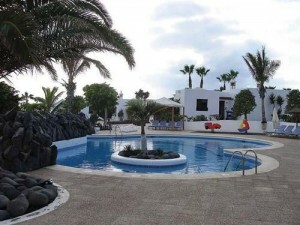 Jardines Del Sol in Lanzarote has had a major decor overhaul in all accommodation, both interior and exterior. Living areas now sport a brand new colour scheme and new furniture, and bathrooms have new paint and appliances. More renovations are coming! Enhancements will be coming to the restaurant, bar, reception area, and communal bathrooms. Children will also benefit from more fun than ever before when improvements to the children’s playground are complete. White Sands Beach Club in Menorca continues to see improvements. Renovations are ongoing to provide an experience suitable for people from all walks of life. Electronic keys are now available, along with accessibility features such as ramps, pool steps, and pool handrails. More refurbishments are in the pipeline. There are plans for the renovation of eight new units and new aluminum doors and handrails. New tiling will also take place on the terraces, solarium, and stairs. These are just some of the renovations currently taking place. It’s doubtful that there’s nothing further coming for many more resorts in the Diamond Resorts portfolio. Guests at resorts not currently undergoing refurbishment can still enjoy the same stellar standard of accommodation and facilities they always have, and create a lifetime of wonderful holiday memories. Are you looking to buy timeshare with Diamond Resorts at resale prices? Don’t hesitate in contacting Travel and Leisure Group at your next convenience. You’ll receive the same standard of accommodation and service, but at a fraction of the price! We’re reputable brokers with over two decades’ experience in timeshare resale.